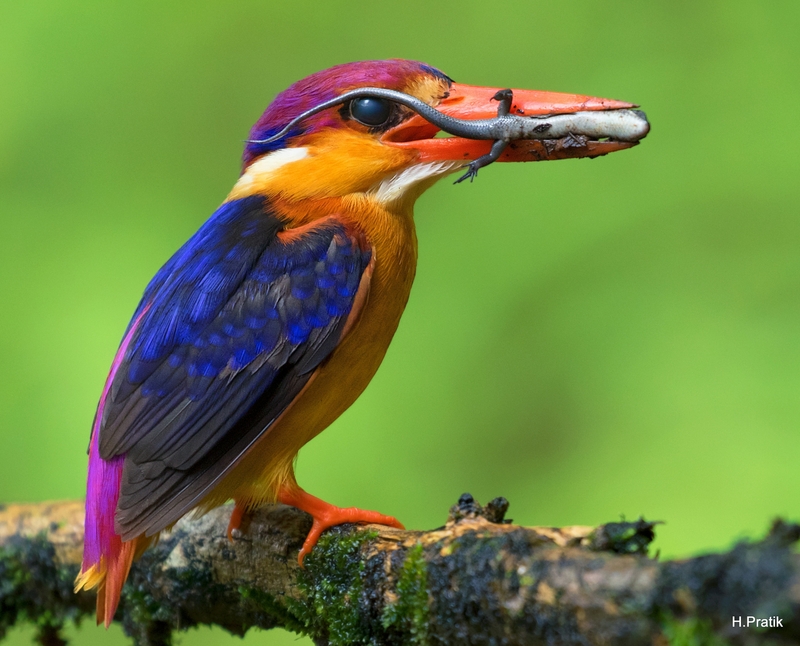 One of the most beautiful Kingfishers found in Western Ghats region of India. These Kingfishers find kill size according the their chick's age. For very small chicks, their parents would bring small size lizards,cockroach,spiders and other insects. When the chicks grow, these Kingfishers catch lizards almost of its own weight and height.